We have collected information and web links related to the area and combined them here with video clips from the show and photo galleries that we took in what we hope will be a helpful guide as you plan your trip. Feel free to select only one or two activities per day according to your family’s interests. 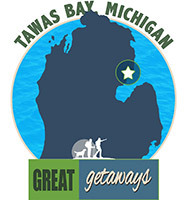 For assistance or for more information, call the Tawas Bay Tourist & Convention Bureau @ (877) TO-TAWAS. Have fun! From its breathtakingly beautiful harbor, blue water of Lake Huron and sandy family beaches, Tawas Bay is perfect for all kinds of recreation. This show proves it is the perfect getaway for kids of all ages to play, picnic, and relax and enjoy exciting events like the traditional boat regatta during the “Annual Heritage Coast Sail Days.” Today we celebrate a great summer getaway on Michigan’s Sunrise Shore. Heritage Coast Sailing and Rowing Inc. is a Michigan not for profit corporation, incorporated in February 2012. 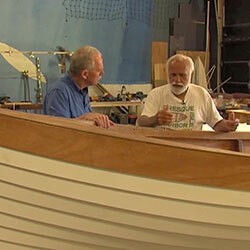 Their purpose is to encourage boat building, sailing and rowing in traditional regional boats. 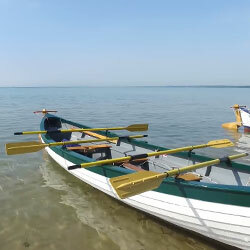 Tawas Bay Traditional Sailing and Rowing Craft Regatta races are conducted for traditional rowing and sailing boats. Such boats are defined as fixed-seat, rowing and/or sailing boats that are constructed primarily of wood and are of historic design. 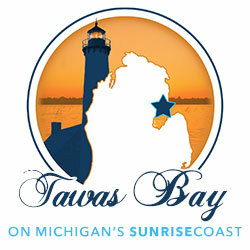 Three races are planned: Taylor's Race Against the Clock, Tawas Bay Dash, and Tawas Bay Traditional Sailing Craft Race. The Regatta is part of Heritage Coast Sail Days which bring two tall ships to Tawas Bay. Heritage Coast Sail Days offers many types of sails throughout the day and evening to provide you with the sailing experience you've only ever dreamed about. Amazing service, enjoyable atmosphere, awesome food, outstanding menu, great prices, what more could you ask for? The ultimate atmosphere for friends, families and sports fans of all ages. Enjoy a friendly environment for anyone to sit down and have a meal year-round. Kitchen open untill at least ten every night, limited menu from 10 untill 2 am. Whether you are in the Tawas Bay area for an extended vacation or a quick getaway, music festivals make your stay more enjoyable. There is Summerfest - three days of family fun with music, a street dance, Kiwanis 5K Run/Walk, car show, Mayor's Fish Boil, Sand Castle Contest for kids, and more fun in the sun. Blues by the Bay features three days of non-stop blues music. Relax and get your groove on under the Big Tent with quality bands from throughout Michigan and the Midwest. 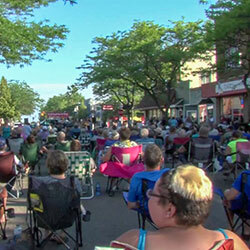 Tuesdays late June - mid August, you will find yourself Downtown for Tuesday Night Live where you will be tapping your toe, singing along and bring the whole family for performances, kids activities, face painting, balloons, chalk art, surprises galore on Newman Street in East Tawas. 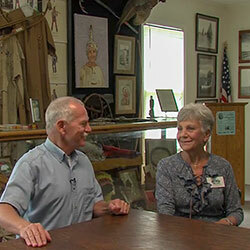 Tawas Point has been referred to as the "Cape Cod of the Midwest." The campground is located on Tawas Bay where the water is shallow and warm for swimming. 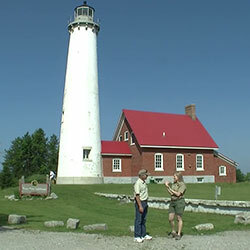 In the park is the Tawas Point Lighthouse which serves as the sole representative of a true Victorian-era style station on the Great Lakes. The park’s expansive day-use beach offers acres of glistening white sugar sand, sprinkled with patches of dune grass and backed by low dunes on the Lake Huron side. 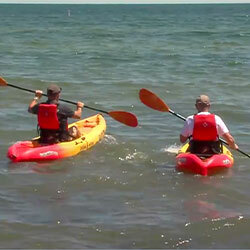 Kayaking the crystal clear waters of Lake Huron is just plain fun. The natural beauty of the crystal clear waters give you an up close look at nature. It is great to go out with friends, good exercise, and if it is a bit rough on the lake, it makes for a great adventure. Tawas Paddle Shack rents paddle boards and kayaks. They will take group reservations, birthday parties and other events. Contact them for sunset and sunrise paddles or river paddles. They will set up a fire pit for your group with chairs and other amenities with prior reservations. There is something about the fresh air, sunshine and friendly people of the Tawas Bay area that draw you to the out of doors and a picnic lunch is one way to experience it all. Mar's By The Bay is a gourmet convenience store featuring Michigan beers and wines. Gift baskets. Prepared food with salads, sandwiches, wraps, etc. Salmon spread. Fresh baked bread. Smoked whitefish spread, homemade pies and cookies. Bait and tackle, ice. Brew Krew on Newman Street features Gourment Food, Fine Wines, Craft Beer Room, Gift Baskets, Kitchen & Bath Accessories, Candles, Soap Lotions and Much More. The River Road National Forest Scenic Byway is one of a growing number of scenic byways established since 1988 for the enjoyment of touring motorists and all who love natural beauty. It is a 22-mile, two-lane, paved highway along 4.3 miles of M-65 and 17.7 miles of a country road known as River Road, roughly paralleling the south bank of the famed AuSable River.